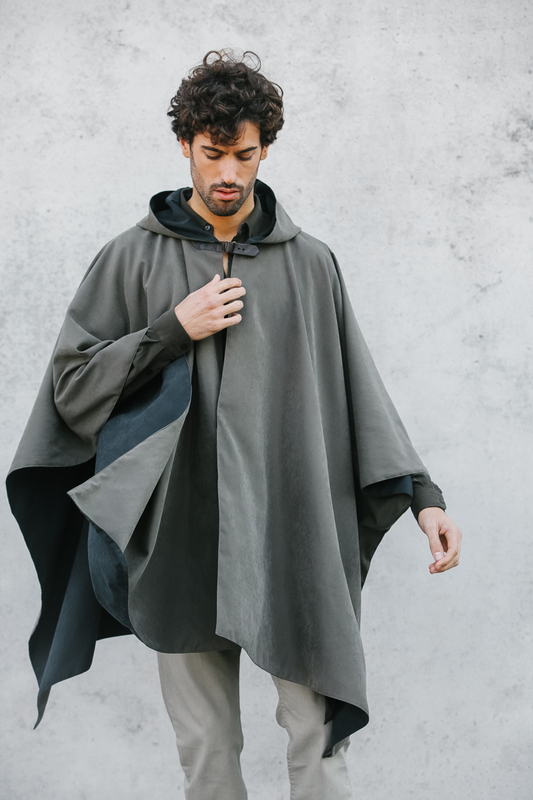 Hooded waterproof cape, reversible, very light fabric with a velvety “peach” touch. Fit for putting over coats, coat jackets, and others. Sleeveless. Perfect for travel, outdoor and daily use. Details: Unisex. Sleeveless. Reversible. Magnetic poppers to close on the sides and on the front. Fits to 38 to 46. There may be a difference of more or less 2cm / 1 inch may exist. These measurements are information purposes only to help you choose your size. We suggest that you take your measures before purchasing. Colour: Product colours may vary according to your monitor, monitor settings and light conditions. The colours are for information purposes only, and slight differences may be present. HAPPY SHOPPING!! !